↑ Montecucco C, Molgó J (2005). 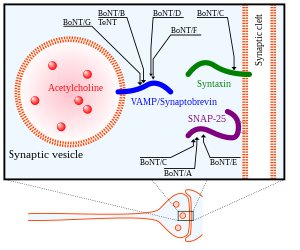 "Botulinal neurotoxins: revival of an old killer". Current opinion in pharmacology. 5 (3): 274–279. doi:10.1016/j.coph.2004.12.006. PMID 15907915.
de Maio, Mauricio, and Rzany Bolman, Berthold. 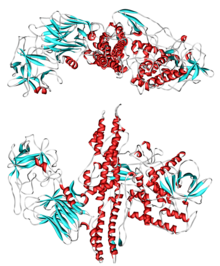 Botulinum Toxin in Aesthetic Medicine. Berlin, Germany: Springer, 2007. Kate Coleman Moriarty. Botulinum Toxin in Facial Rejuvenation. Mosby, 2004. หน้านี้แก้ไขล่าสุดเมื่อวันที่ 13 ตุลาคม 2561 เวลา 02:28 น.